The big news in the uni-verse yesterday was the word that Nike will be the NBA’s new uniform outfitter. I’ve written an FAQ-style explainer piece about this for ESPN — check that out here. One thing I didn’t mention in that ESPN piece is that this deal, once it goes into effect in 2017, will put two of the Big Four pro leagues in the Nike column. That will mark the first time in the one-outfitter-per-league era that two of the Big Four leagues have been under one brand (although I suppose one could argue that the NBA and NHL have been under one company, if not exactly one brand, for years now, since Reebok is owned by Adidas). Never mind — as commenter Joe D quickly pointed out, Reebok had the NHL and NFL contracts for a good portion of the 2000s. Brain cramp on my part. The Swooshkateers aren’t getting their hands on MLB anytime soon, because Majestic’s baseball contract was recently extended through 2019. And I’m assuming — okay, hoping — that Nike doesn’t have enough of a presence in the hockey world to take a run at the NHL. Still, it’ll be interesting to see how things play out with Nike handling two leagues. One of the NBA’s gripes with Adidas is reportedly that the company spends too much time focusing on soccer. With Nike obviously committing major resources to the NFL, whose season overlaps heavily with the NBA’s, how will that go over with NBA execs? Anyway, that’s still more than two years down the road. Until then, we have Adidas’s lengthy lame-duck period to look forward to. “Collect ’em all” reminder: In case you missed it earlier this week, I’m taking a show of hands to see how many of you have purchased all seven of the UnI Watch T-Shirt Club’s designs so far. Knowing how many people are eligible for the year-end prize will help me determine what the prize will be. So if you’ve collected ’em all so far (and didn’t already check in yesterday or the day before), please use this link to shoot me a note. Thanks. It was 89 degrees in Chicago yesterday, and the heat just about killed me while I was out for my daily walk. Even after a Gatorade and walking in the shade as much as I could, I was overheated and wiped after what was, for me, only a moderate walk. And it’s still only early June, which means we’ve only just begun the hot season. What do you do to stay cool while being active in the summer? 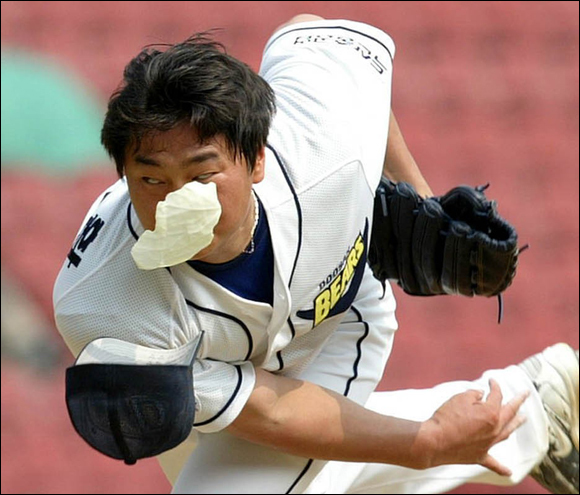 And, do you have any tips for not overheating while attending ballgames? Do any clothing items, or any drinks, keep you cool? Also, what’s worse when being active: Trying to stay cool in the heat, or keeping warm in the cold? Baseball News: The T-shirt company Tee Cartel took cities’ area codes and incorporated them into MLB logos. Some concepts are really slick, and some are, well, horrendous (from Jonathan Daniel). … The Cubs’ mascot wears Under Armour-branded “shoes” (from Orion Buckingham). … The Nashville Sounds will wear Darth Vader jerseys on June 19 (from Jerry Lawless). … The West Michigan Whitecaps will R2D2 jerseys on July 11 (from Terry Corby). … The Reading Fightin Phils wore grass jerseys for Grateful Dead night last night. … The Frisco RoughRiders will wear Full House-themed jerseys on Friday. … A couple new alternates for the Kenosha Kingfish, a collegiate summer league team in the Northwoods League (from Jake McGhee). … Also from the Northwoods League, Irving Lopez of the Eau Claire Express has some nice stirrups (from Travis Christopherson). … MLB.com’s Game Tracker isn’t as uniform-detailed as we’d like it to be. For yesterday’s Rockies/Cardinals game, it showed its Cards batter wearing a blue helmet, but the Cards wear red on the road unless they’re facing another red-based team (from Phillip Tutor). 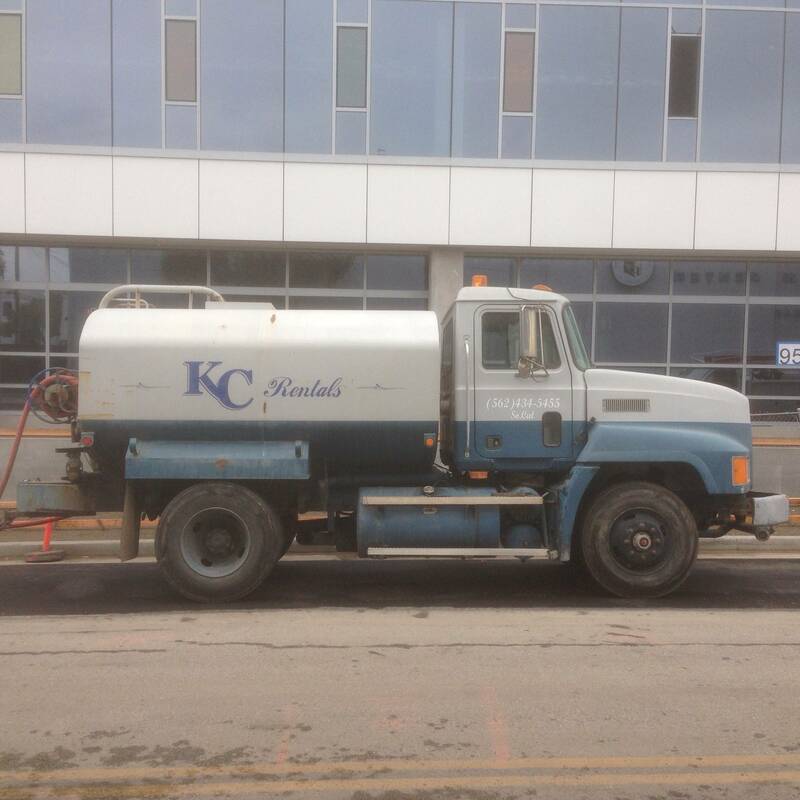 … Charles Rogers saw a sewage company in Hollywood that uses the Royals logo. … Tyler Kulasza saw this hat at a bar in Manhattan – does anyone know what team it might belong to? … Canadian pop singer Kiesza performed on Good Morning America yesterday in a dress made of Yankees caps. Kiesza and Jay-Z: making a Yankees hat more famous than a Yankee can (from Kary Klismet). … Torii Hunter removed a good portion of his uniform and threw it onto the field during a post-ejection tantrum last night. ”¦ Small detail on this year’s Fourth of July caps: For the MLB logo on the back, the ball has been replaced by a star (from Dan Fuller). NFL and College Football News: The Chargers will retire No. 21 for LaDainian Tomlinson (from Phil). … NFL practice jerseys tend to have a looser fit than game jerseys, so Bills receivers wear game jerseys in practice, to give the DBs covering them more game-like conditions (from Mike Monaghan). … Here are some pretty neat old photos of the Steelers in training camp (from Navin Johnson). … A new Gatorade commercial shows a player wearing a No. 100 Broncos jersey. We’ve linked to the basketball version of the ad in the Ticker before (from Seth Shaw). … Northwestern’s website ran a logo that the Browns never used. It’s actually a fan’s redesign concept; the team’s old alternate logo was subtly different (from Joe Baka). … The Colts held a mini-camp open house at Lucas Oil Stadium yesterday and the team sold Trent Richardson souvenir cups. Richardson was cut in March and is now with the Raiders (from Carolyn Grace). Soccer News: Costa Rica’s Carolina Venegas has new customized floral-patterned cleats (from Craig Justice). … The Columbus Crew SC will ditch its gold kit (from Mark Grainda). … New away kit for Celtic F.C. … Here’s a comprehensive list of jersey sponsors in English soccer (from Matt B). … Interesting texture on the numerals of AS Roma’s new kits (from Conrad Burry). NBA News: The 76ers again released some sneak peeks of their new uniforms (from Nick Maricondi). … Also, the Sixers will stop referring to their arena by its corporate name because they are not receiving sponsorship money from Wells Fargo, the namesake (from Scott Lederer). … One person gave his opinion of the five best throwbacks ever (from Phil). … Here are some NBA mascots reimagined as cartoon characters (from Bob Novo). … Taylor Nicolaisen found a sleeved-jersey eBay listing for the Infant Jesus basketball team. … We’ve all seen NBA players wearing kinesio tape, but how about NBA-branded kinesio tape? That’s Elijah Millsap from earlier this season (from Brett Crane). … It looks like this 1970s Filipino basketball team was sponsored by Whataburger or Wonder Woman. … Not NBA, but here’s a cool old basketball schedule for a Chicago high school. It actually looks much older than 1969-70. … Kyrie Irving has a tattoo containing the TV show Friends wordmark. That reminded me: While in college, I wrote about the tattoos of the DePaul men’s and women’s basketball players (page 7 and 8 of the link). Grab Bag: Steiner Sports will frame the whip Victor Espinoza used to win the Triple Crown with American Pharoah (from Chris Flinn). … Apple changed its typeface (from Jason Hillyer). … “Here’s a thorough and satirical read into a few teams’ change kits for next month’s Tour de France,” says Jeff Mayer. … Three auto racing notes from David Firestone. 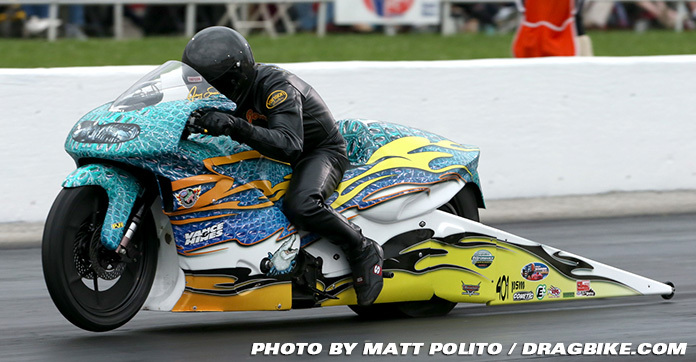 First, Pro Stock Motorcycle racer Jerry Savoie is an alligator farmer in his spare time, so he paints his bike to look like alligator skin. Second, Dutch racer Tom Coronel must give the finger a lot. Third, during a commercial bumper ESPN showed NHRA Pro Stock driver Greg Anderson with a NHRA Full Throttle Drag Racing Series logo on his suit. Must be old footage, because Full Throttle stopped sponsoring the NHRA in 2012. … Grantland broke down some of the fashion of the French Open and NBA Finals. … Some chemicals in sportswear could be hazardous for your health (from James Gilbert). … Also from James: Here’s the story behind the logo for The Late Show with David Letterman. I recall reading at the time that wearing a cabbage leaf (maybe soaked in ammonia..?) had been a thing back in the 1930s or so, so there was some precedent for this. Yep I had the cabbage in the hat trick in mind when I asked the question! Some of those area code mlb designs are atrocious – it’s also funny the KC Royals one uses the area code (913) for Kansas (Overland Park/Johnson County), when the team has always played in Kansas City, Missouri and the 816. The Tigers’ one is especially hideous. How are you supposed to read that hot mess as “313”? Dang, beat me to it. I see the D, but there’s no 313 there; if I received that shirt, I’d think it was a freebie because someone screwed up the printing job. I came here to point that out as well. Seems as though most people don’t realize the difference between Kansas City, KS and Kansas City, MO. Or, at the very least, they have no idea what state the Royals play in. He gets the Chicago ones wrong. U.S. Cellular Field is the park in the 312 area code zone; Wrigley Field is in 773. I was going to mention that they used 813 for the Rays, which is the area code for Hillsborough County (and, most prominently, Tampa). The Rays play in Pinellas County (St. Petersburg), which has a 727 area code. If you’re gonna go through the effort of butchering some designs like that, don’t you think you’d at least take the 20 seconds to Google the proper area code for where the team plays? An entire Florida county is now out for blood. Especially given the Missouri-Kansas animosity that still exists in other sports (e.g. MU/KU), that one was particularly pretty atrocious. The Giants one is a mess. I thought Reebok got the NFL contract in 2002 and NHL in 2005-06. Wouldn’t that make them the first to have two leagues at the same time? Oh, duh — total brain cramp on my part. You’re right! I’m wrong! Will adjust text accordingly. That’s only if you consider the NHL to be a major pro sports league. A lot of us still do… even if we hate the commissioner and wouldn’t believe him if he told us water is wet. Well, if it’s frozen, then it’s not so wet. I find that if I ride my bike to the game and sit in a shady part of Nationals Park upper deck, I feel “cooler.” a little breeze and being sedentary feels really good after a ride. Yay! Updated Mike Chamernik Question of the Week photo! If it’s going to be a hot one: commando in board shorts with a tank top and let the sweat rain down. If it gets too bad, hide out in an air conditioned bar at the stadium. I forgot to ask Paul to change my photo last night, but he must’ve seen the exchange last week. Thanks, Mr. (or Ms.) Underscore! appears directly beneath a photograph of two ball girls wearing … black knee-high socks. It’s those same socks from a recent ticker link, whose stripes I still say are probably added on. Note to Grantland: snark is great when you can manage to actually get the facts straight. Much worse keeping cool in the heat. You can always put more clothes on, but there’s a limit to how much you can take off. 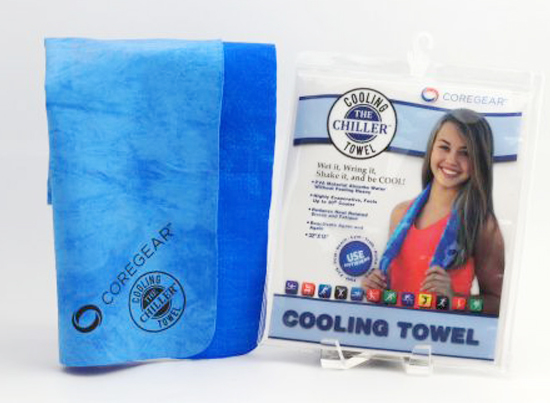 Cooling fabrics and wet towels and hydration only go so far, whereas warm layers can be added more or less infinitely. Still, I don’t bike below certain temperatures, because layering gets bulky and makes the ride physically unpleasant, whereas I’m willing to bike in any heat and just suffer at the end. And to add for my own experience: When it comes to XC skiing I have been able to layer myself up to near “outgrown snowsuit” level. But that’s an activity which requires a lot less extreme and repeated bending of the knees & elbows, hips and shoulders. Plus with XC there’s no big change of temp like downhilling v. the stationary ride on the chairlift, or pedaling slowly up a hill v. the self-created 25mph in the face going down the other side. I didn’t mean to sound like a Los Angelino who says it’s “freezing” when it’s 49 degrees. Yesterday was our first hotter day of the summer and I guess I was ill-equipped for it. It definitely will get hotter and more humid (maybe not Florida levels) around here. but 90 in summer is still better than 20 degrees in winter! Thank you! What is the significance of the Fleur de lis on the hat? Probably a nod to Louisville’s city flag, which has the fleur-de-Lis on it. The city was named for Louis XVI. +1: Louisville was named for a French king, hence the fleur-de-lis. Never been there; do the locals pump up the French heritage thing like they do in New Orleans (well, anywhere close; no one does ANYTHING like N’awlins)? That’s a Louisville Redbirds cap. Columbus Crew noooooooooooooo. The Crew’s gold has always been my favorite in the league. I agree the Crew’s yellow kit is very distinctive. It also plays into the Germanic vibe they’ve adopted; a lot of their fans immediately compare the kit to that of Borussia Dortmund. Based on the use of the city seal as a placeholder in the Adidas catalog, the speculation is that the new change kit might be based on the red, white, and gold city flag. I’m not sure that would work, or be as popular as, say the Fire’s kits based on Chicago’s flag. 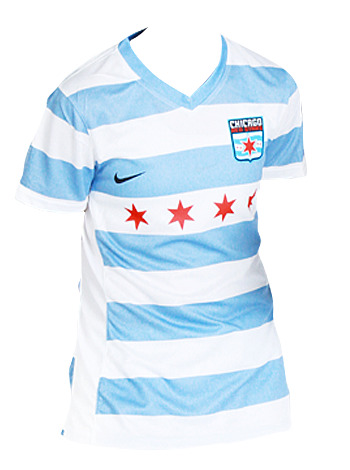 Or there is the Chicago Red Stars women’s team, whose name directly refers to the city’s iconic flag. Their current home jersey is sweet. Man…I just bought a Crew jersey (not a Glidden or Barbasol Crew one, mind you – a Columbus Crew one) at Goodwill. Love that distinctive yellow, and it’s a shame to see it go. With the way soccer teams change uniforms, the Crew will probably bring the yellow back soon enough. QOTD: I don’t play tennis outdoors much anymore, but there is still one tourney I play at a friend’s club every summer. Couple years ago I found THE BEST (what at first I thought was a gimmick) way to keep cool: cooling towel. Dunk that in ice water, wring it out and it’s good to go. It’s amazing how well it works too. Adidas also has the NBA and MLS right now. Does that count? My thoughts too. I know you stated the “big four” sports, but when does soccer and the MLS get credit? MLS average attendance is higher than NHL. Can someone make a shirt that says “I’m still calling it Wells Fargo/Wachovia/FU Center” for The Center in Philly? First time I can recall a team removing a sponsorship on an arena. I like it a lot. The team is not involved with the name of the arena. The area is owned by Comcast Spectacor. The Sixers used to also be owned by Comcast Spectacor but were sold about 4 years ago. The arena is still called the Wells Fargo Center, the Sixers just don’t want to call it that. does that mean the Flyers will still call it the Wells Fargo Center since they play there as well? This seems like a desperate money grab by the Sixers. I think corporate douchebaggery in sports is unfortunate, but this situation seems like the Sixers and the building owners are competing to see who is the bigger douchebag. Rovell stated that Nike would have their log on the on court basketball uniforms. While I dont think this is a huge issue, it does lead me to believe more uni advertising in basketball i son the way. The Nike deal also includes the WNBA. W fans I’ve talked to are very happy to be leaving Adidas. Please, Nike, get rid of the one-pattern-to-all template and the LNOB under the numbers! Regarding QotW: When it’s hot, milk is a bad choice. Paul Bacon,the prolific designer of book cover jackets (thousands and thousands) for over a generation has passed. Not a fan, but I don’t want to quash anyone’s fond memories. 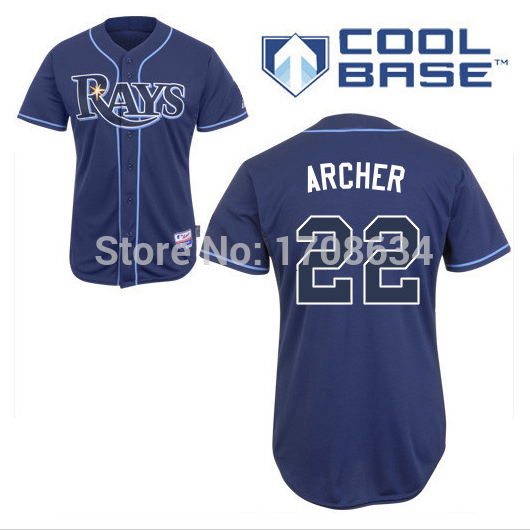 Just, if we can niche the heck out of that show, where are my Archer-themed jerseys? Bonus: The beginning and end titles (and music for them), are very good looking and get the show’s feel across nicely. QOTD: Phil beat me to it, but I agree. I use a towel when I’m out golfing in the heat. My buddy gave me one called a Chilly Pad, by frogg toggs. After checking their site, it seems like they have a whole line of cooling products I was unaware of. I keep that thing in a cooler of ice water and throw it on my head between holes on a hot day. It’s made of some kind of rubber that holds water welln without getting too heavy. It also feels great after cutting the grass. Re: Infant Jesus basketball Jersey. The Five Boroughs have plenty of Catholic Schools with odd names. This makes for interesting headlines: “Salesian Clobbers The Christ Child”. I don’t know, DJ. Lana’s outfit is OK, but Kiesza’s is pure crazy ridiculous fun. Minor detail (but isn’t that what we’re all about here, anyway?) regarding the Cardinals on the road – the belt always matches the hat (either red or blue). Gatorade ads. In the basketball ad, the player is wearing a #100 lakers’ jersey. So either they are using the number so as not to use real player or implying 100% (give it your all). I live in Louisiana, so I’m going to stay trying cool in the heat is much worse. I drink lots of water and take a cold shower after mowing the grass, which usually takes an hour if I do the front and back yards. At ball games, I drink lots of water, wear a cap and light-colored clothing, though I’ve hear the light-colored clothing can be a myth when it comes to reflecting heat. Still, why wear black in the hot sun? It can get cold down here in the winter, but the heat is a factor at least seven or eight months out of the year. And it’s much more humid here on a consistent basis than in most parts of the country. I will buy into the myth of light colors. When I was a ute, I had swim lessons early in the morning. My swim club had flat wooden benches all around the pool, painted in different colors. As soon as practice was over, we would lie down on the benches to warm up. The darker ones were definitely warmer than the light ones, so we always went to those first. Later in the day, the dark ones were too hot to touch, while the light ones were still OK. So, I don’t understand why any MLB team would wear anything but white for a summer day game at home. If nothing else, wouldn’t it be a psychological advantage to know you are doing everything possible to stay cool? I always sit on the 3rd base side for Nats day games, because that side is in the shade. Orioles Park also has the shade on the 3rd base side, but it seems to take much longer for the shade to cover all of the stands than in DC. I thought I heard that sticking your hands in ice water helps cool you down. In fact, I think some team in the southwest had a special bowl for the players to do that. I’ll have to try the towel thing, too. Much easier to keep warm in winter. Summer? I avoid peak sun whenever possible. I have an acre and a half to mow, all by hand (too bumpy for a tractor). If I have to start before 4pm I put on sweatpants and a hoodie, no matter how hot it is. Beats smearing on sunscreen and spraying bug spray. Sometimes I’ll throw water on me, but usually the sweat does the job, as long as I stay hydrated. If I’m not mowing and I’m not required to wear dress clothes, I’m in swim trunks and either t-shirts or Hawaiian shirts pretty much all summer. Right field upper deck at PNC Park is the only place to watch a day Pirates game. Nice and shady with a great view. Summer is brutal nearly anywhere. As much as possible, I recommend staying indoors until dark. Yes! Worst of the 4 seasons. I’m not sure how long this has been happening, but it’s been a while … while using my chrome browser, each day I visit Uni Watch and click a link for the first time that day, I get a pop-up ad tab in my browser with Oprah blowing her nose. I close it out, have to reclick the link, and all is well from there … until the next day. I just tried to recreate the scenario in Explorer, but that keeps crashing. I have the same problem in Chrome – I just assumed it was a glitch with the network here at work, but apparently not. Thanks for the heads-up — will investigate. Happens to me every day in Chrome, too. Nike owns Bauer, so they do have a strong presence in the NHL. So far, they have stuck with the Bauer brand and haven’t re-branded. Actually, Nike divested its stake in Bauer in 2008. Nike is out of Bauer of the hockey equipment business, but they did still make the jerseys for the 2014 olympics, and most Nike sponsored NCAA hockey schools, so there is the possibility. The Rockies and Rangers area code logos were the only area code logos that I really liked. That’s a weird complaint from a league that’s switching to a company that outfits Brazil, Barcelona, the United States, England, etc etc. Concerning the Tee Cartel area code idea… Great idea but come on. Why do the Rangers need to be identified with area code 214? The team is based in Arlington, which area code is 817. Like someone already said, it’s easier to warm up in the cold than cool in the hot. Anyway, in Mexico we have excellent weather so a jacket is more than enough to keep you warm. When it’s hot, some shorts and I’m OK in cooling. QOTW: In my line of work I have to wear a suit and tie. When it gets above 90 degrees (like today) I’ll break out my seersucker suit and try to get away with wearing short golf socks. And what do you know…today happens to be National Seersucker Day! Have a great one, everybody. That cool old basketball schedule for a Chicago high school mentioned in the ticker was fairly common in the late ’60s and early ’70s in our part of Wisconsin as well. If memory serves, the local Sun Drop soda bottling company printed up those schedules for football and basketball and handed them out. Same design, just a different sponsor. Parker High School in Chicago was later renamed for Paul Robeson. QOTW: This Iowan is a wimp when it comes to heat (and many don’t realize that 90+ temps are fairly common in this part of the country, almost always accompanied by high humidity up from the Gulf). I consistently say, even in the winter, that I would trade one of those hot and humid days for a frigid -20 (which we also get) every time. A joke obviously, but I do miss QB’s being able to wear weird numbers…. with all the WR’s able to wear 10-19 as well now it forces a lot of them to stay in the single digits, so it cuts down on the variety. On hot days, I actually prefer Gatorade diluted with water, 50-50. It’s too sweet otherwise. Loose fitting Under Armour does the trick to stay as cool as possible. At baseball games, I find that heat is mental, so I wear sunglasses to trick myself into thinking it’s not so hot. But all in all, I’d rather be forced to warm up in the cold than cool down in the heat. Because it’s easier. And more fun. Either throw on another layer, or just drink strong beer and whiskey! And as someone raised in New Orleans but McGill educated (so Montreal), I know both ways. Can’t wait to see what Nike will do with the Association Uni’s!! I suspect they’ll have some good ones and some abominations. Just like Adidas. The only area code mashup that I found truly creative and effective for keeping the character of the original design while semi-clearly displaying the area code was the New York Yankees. In fact, if I lived in NY and was a Yankees fan, I’d actually buy that on a t-shirt. The rest, I would gladly leave behind. The Cubs logo should have been the easiest and one of the best looking mashups (tallest of the little people, so to speak), but they couldn’t even get that right (overlapping the 3 over the C). Braves, Angels, Twins, Pirates, Cardinals, and almost Royals all seem to me to meet your criteria of maintaining continuity with team visual identity while clearly communicating the numbers. If area codes were still a culturally relevant thing, a few of these would make nice fan shirts. Alas, the twentieth century has been over for rather a while now. while i thought initially that the nba would have a significant say on the makers marks on uniforms, i’m guessing that the significant price tag and percentage increase over the last bid allowed for some negotiation flexibility. that said, in mark parker’s release he named all 3 of the primary nike owned brands: nike itself, brand jordan and converse. i’m sure he did this for a reason. when this was leaked in march, no way would i have thought that a league steeped in history of keeping things “uniform” would allow its uniform maker to display differing makers marks on its on-field brand. in conversations i read, now it seems that it will have a level of un-uniform uniformity (if that makes sense). keep in mind thought, 3 brands, 3 leagues. that may come into play. OR that there are game uniforms, warm ups, swingman and casual merch which could all encompass one of those logos. jordan brand is one of the most desired brands. does nike throw its logo on the league’s poorer performing merch teams to spike sales or does it stay inline and put it on teams with brand jordan presence. converse would easily be the least desirable logo on merch, would it be put on the league’s higher selling teams for greater visibilty? im interested to see what the brand distribution will be among teams, leagues and type of supply. The Yankees play in the Bronx, last I heard. Area code 718, definitely not 212. QOTWL: For day games at Dodger Stadium, I purchase seats in the higher rows of the Loge or Reserve levels specifically to be under the overhang and in the shade. Should have read “QOTW.” I’m not sure what “QOTWL” is. On the Area Code tees, the Texas Rangers design is clearly evoking the Texas State Flag. Except that the red and white parts are inverted. He’s flying the flag upside down! If I were a Gang Leader, and I were looking to outfit my crew with a fresh new look for our gangbanging activities, I would totally buy some of these shirts. They have the incoherent design sensibilities, odd typographies, and of course, area code references so sought-for among the gangbanging cognoscenti. I really liked the 713 Astros design including a stylized rocket! Good suggestions, everyone. I think I’m going to buy a cooling towel. You’re a smart man, Mr. Chamernik. Also, this is my first comment ever – I’ve broke the seal! In the Women’s World Cup match today, Germany is playing Norway. Germany’s colors are white/black. Norway’s colors are red/white. So naturally, Germany is wearing their red change kit and Norway’s wearing their white/navy change kit. That’s almost as cognitively dissonant as the NBA Bulls wearing green at home for St. Pat’s against the visiting Celtics in white! FIFA, who went way overboard last year demanding a full white kit for Spain in their game against Netherlands, didn’t bother to demand Norway to find navy socks for their game against Germany in the Women’s World Cup. Although there is lots of red on Germany’s socks, there is more than enough white which might create some confusion for the refs. It looks like that tee cartel corrected the royals area code, maybe they were reading. I haven’t lived out there in a few years but I still have my 816 area code! Is the NBA mark at the top of the article an official logo? I’ve never seen it before. Oh wait, now I see, it’s a Jordan (Nike)-NBA mashup. The hat with the swinging Cardinal is more than likely a Univesity of Louisville hat. The city of Lpuisville often associates with the fleur de lis. The Bronx hasn’t had the “212” area code since the early 1990s. The Celtics logo is already a cartoon. The area code designs are neat, but the Rangers,besides the flag being wrong, play in 817. 214 is downtown Dallas. It’s a big deal to people here. Especially national media always saying they are in Dallas. So maybe try again. Looking at the North Dakota nickname discussion, interesting to see that the alumni (and the poll that was put out by the newspaper) are behind no new nickname, e.g., just being called “North Dakota”. NHL used to have some NHL teams. They were usually better than anyone else that made uniforms (outside of the late-great Starter). I wish they’d take a run at them too! Majestic is pretty good for the MLB and Nike already handles merch for the players shorts/polos/t-shirts etc.